Последните години все по-вече хора се обръщат към вегетарианството. Могат да се намерят все по-вече продукти, които заместват месото. Аз вече няколко пъти готвя с био соева кайма на БиоСвят. 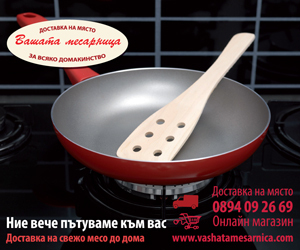 Основната съставка в тези продукти е соята. Соята е бобово растение, чиито семена са богати на протеин, който може да замести месото при диетичен или здравословен режим. Затова някои източници сочат соята като изключително полезен за здравето продукт (стига да не е ГМО – затова най-добре заложете на био соеви продукти). Готова био соева кайма си можем да намерим в био магазните, а можем да си направим и в къщи принципно. Може да я използваме вместо кайма от месо във всички видове ястия, сосове за спагети, лазаня и други. За подобряване на вкуса, прибавяме подправки, бульони по наше желание. Соята се отглежда в цял свят, като най-големи производители са Бразилия и САЩ. Следи от соя може да се намерят в протеиновите блокчета, сирене за мазане, в някои видове сладолед. 32 коментара на "Био соева кайма"
I simply want to tell you that I’m new to blogging and site-building and really loved you’re web site. More than likely I’m planning to bookmark your site . You definitely have really good articles and reviews. Many thanks for sharing with us your blog. I simply want to mention I’m all new to blogging and site-building and honestly liked your website. Most likely I’m want to bookmark your website . You certainly have amazing writings. Bless you for revealing your blog site. I simply want to mention I’m very new to blogging and site-building and definitely enjoyed you’re web page. Likely I’m going to bookmark your blog post . You definitely come with incredible well written articles. Thanks a bunch for sharing with us your web-site. I just want to tell you that I am just beginner to blogging and absolutely enjoyed you’re page. Almost certainly I’m likely to bookmark your site . You certainly have amazing articles. Thanks a lot for revealing your blog. I simply want to mention I am all new to blogging and certainly loved this web-site. Almost certainly I’m planning to bookmark your blog . You absolutely have fantastic posts. Kudos for sharing your webpage. I simply want to tell you that I am all new to blogging and site-building and definitely loved your web-site. Very likely I’m likely to bookmark your blog post . You really come with fabulous writings. Regards for sharing your web site. I just want to say I am just newbie to blogs and definitely enjoyed this web blog. Likely I’m likely to bookmark your blog post . You surely have wonderful well written articles. Cheers for sharing your webpage. I simply want to mention I’m all new to weblog and absolutely enjoyed your page. Likely I’m want to bookmark your site . You actually have good articles. With thanks for revealing your web page. I just want to say I’m newbie to blogging and certainly savored your web page. More than likely I’m going to bookmark your blog post . You definitely come with terrific posts. Many thanks for sharing your web-site. I just want to say I am new to blogs and absolutely savored this page. Most likely I’m likely to bookmark your blog post . You certainly come with amazing article content. Cheers for sharing your blog. I just want to mention I am very new to blogging and site-building and absolutely savored your web site. Most likely I’m going to bookmark your website . You surely have remarkable writings. Cheers for sharing with us your website page. I truly impressed of the details that you have actually have shared. I understand you’ve aided a great deal of people with this post. I really impressed of the info that you’ve have shared. I know you’ve helped a lot of individuals with this short article. I truly astonished of the information that you’ve have shared. I recognize you’ve assisted a great deal of individuals with this short article. I conceive this internet site has got some rattling good information for everyone :D. „Heat cannot be separated from fire, or beauty from The Eternal.“ by Alighieri Dante. You could certainly see your enthusiasm in the paintings you write. The sector hopes for more passionate writers such as you who are not afraid to mention how they believe. All the time follow your heart. I simply want to tell you that I am just all new to weblog and definitely liked you’re web page. Probably I’m likely to bookmark your website . You surely have outstanding writings. Thanks for revealing your web site. Excellent post. I was checking constantly this blog and I am impressed! Very helpful info specially the last part 🙂 I care for such information a lot. I was looking for this particular information for a long time. Thank you and best of luck.